DescriptionFits: Honda CRF 250R 250X 450X TRX 450R 400EX Motor Bike 2005-2010Package Includes: 1Pc Tank Cover With Short Gas Cap HoseSize: inner diameter:60mm * external diameter:65mmWeight: About 122gNote: This is a non-original aftermarket part. Please check the size for compatibility before ordering it.? HONDA BLACK CNC BILLET FUEL CAPCOLOR:BLACK FITMENT:HONDA XR 70R 1997-2000HONDA XR 80 1988-1989HONDA XR 80R 1999-2000HONDA XR 100R 1988-2000HONDA XR 200 1986-2010HONDA XR 250 1986-2004HONDA CRF 250X 2004-2015HONDA CRF250R 2004-2015HONDA CRF450X 2005-2015HONDA CRF450R 2002-2015HONDA XR 400 1986-2010HONDA XR600L 1986-2003HONDA XR650L 1986-2003HONDA XR650R 2004-2007HONDA TRX 400EX 1999-2014HONDA TRX 450R 2004-2009 Features: 1. 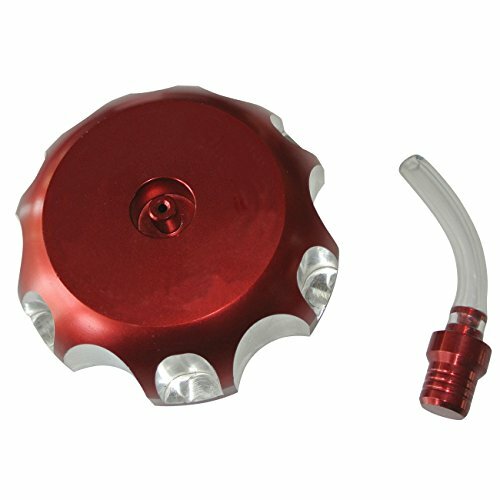 100% CNC Gas Cap. 6061 T6 aluminum produced. 2. The gas cap includes gas-resistant rubber seal & vent cap. 3. Large palm-grip body. 4. Anodized color. 5. Laser etched logo on all products. DescriptionFits: Honda CRF 250R 250X 450X TRX 450R 400EX MotorBike 2005-2010Package Include: 1 * Fuel Tank Cap With A Short Gas CapColor: RedWeight:About 120gNOTE: Please compare the goods appearance, shape, size with your original goods before ordering,Thank you very much. 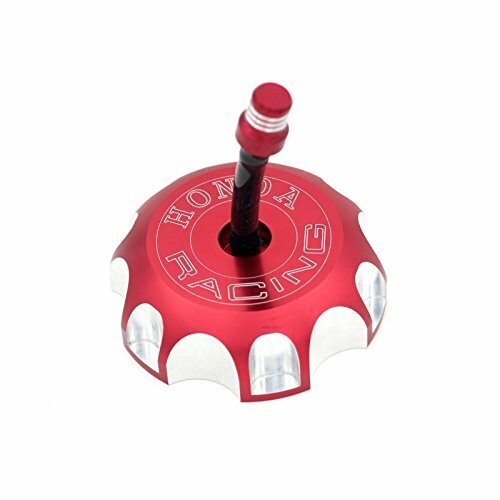 HONDA RED CNC BILLET FUEL CAPCOLOR:RED FITMENT:HONDA XR 70R 1997-2000HONDA XR 80 1988-1989HONDA XR 80R 1999-2000HONDA XR 100R 1988-2000HONDA XR 200 1986-2010HONDA XR 250 1986-2004HONDA CRF 250X 2004-2015HONDA CRF250R 2004-2015HONDA CRF450X 2005-2015HONDA CRF450R 2002-2015HONDA XR 400 1986-2010HONDA XR600L 1986-2003HONDA XR650L 1986-2003HONDA XR650R 2004-2007HONDA TRX 400EX 1999-2014HONDA TRX 450R 2004-2009 Features: 1. 100% CNC Gas Cap. 6061 T6 aluminum produced. 2. The gas cap includes gas-resistant rubber seal & vent cap. 3. Large palm-grip body. 4. Anodized color. 5. Laser etched logo on all products. HONDA SILVER CNC BILLET FUEL CAPCOLOR:SILVER FITMENT:HONDA XR 70R 1997-2000HONDA XR 80 1988-1989HONDA XR 80R 1999-2000HONDA XR 100R 1988-2000HONDA XR 200 1986-2010HONDA XR 250 1986-2004HONDA CRF 250X 2004-2015HONDA CRF250R 2004-2015HONDA CRF450X 2005-2015HONDA CRF450R 2002-2015HONDA XR 400 1986-2010HONDA XR600L 1986-2003HONDA XR650L 1986-2003HONDA XR650R 2004-2007HONDA TRX 400EX 1999-2014HONDA TRX 450R 2004-2009 Features: 1. 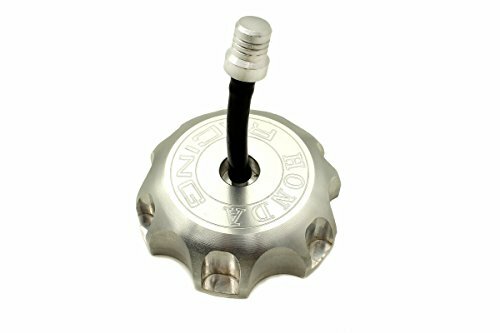 100% CNC Gas Cap. 6061 T6 aluminum produced. 2. 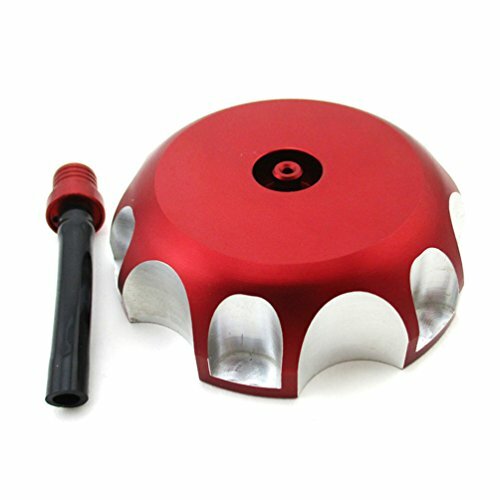 The gas cap includes gas-resistant rubber seal & vent cap. 3. Large palm-grip body. 4. Anodized color. 5. Laser etched logo on all products. 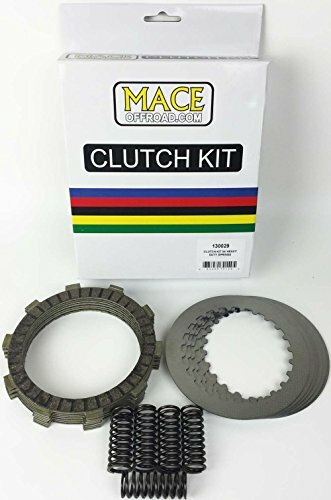 •Includes the full set of friction, separator plates and springs. 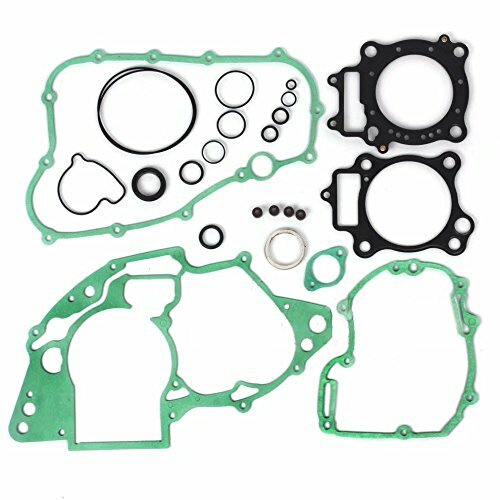 •All kits include Mace steel plates which outlast stock alloy units and prevent heat distortion. •Increased flywheel effect of steel plates improves power spread. Actual Kit in Photo!! 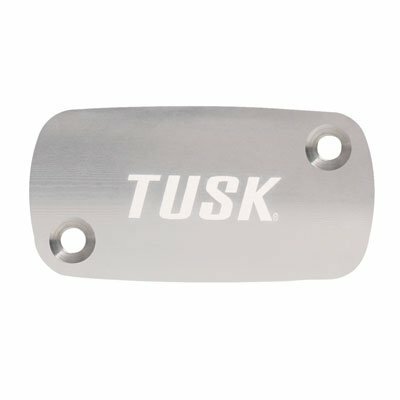 Tusk reservoir caps are CNC machined from lightweight 6061-T6 aluminum for a perfect fit to replace your stock reservoir cap. 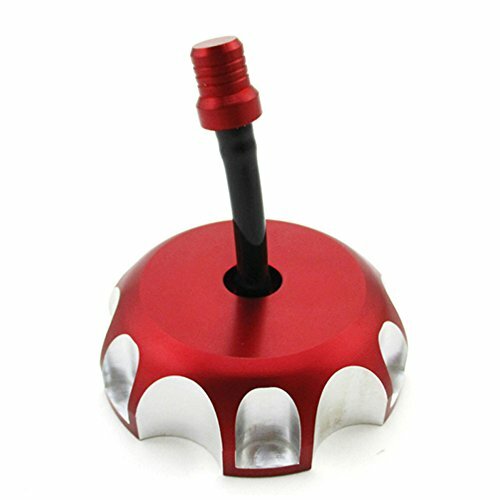 Reservoir caps are anodized for corrosion resistance and to give your bike that factory look. Adding this IMS 4 gallon fuel tank to 1986 Honda TRX 250R. Other updates to the flight deck and 1985 ATC 250R rebuild in the works. replace gas tank on a 1986 honda fourtrax. http://www.youniqueproducts.com/karli... Here is a link for my wife's makeup that she sells, its an all natural make up and keeps your skin healthy and looking beautiful. Mike makes a custom six pack rack to hold an extra tank of gas. This is very useful for long trail rides where you may need to refuel but aren't near a gas station. Its cheaper to MAKE than it is to BUY, and you can make it how you like it. 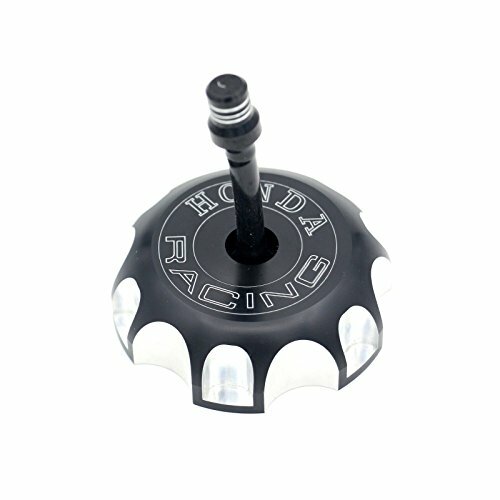 Compare prices on Honda Trx 250r Gas Cap at ShoppinGent.com – use promo codes and coupons for best offers and deals. Start smart buying with ShoppinGent.com right now and choose your golden price on every purchase.